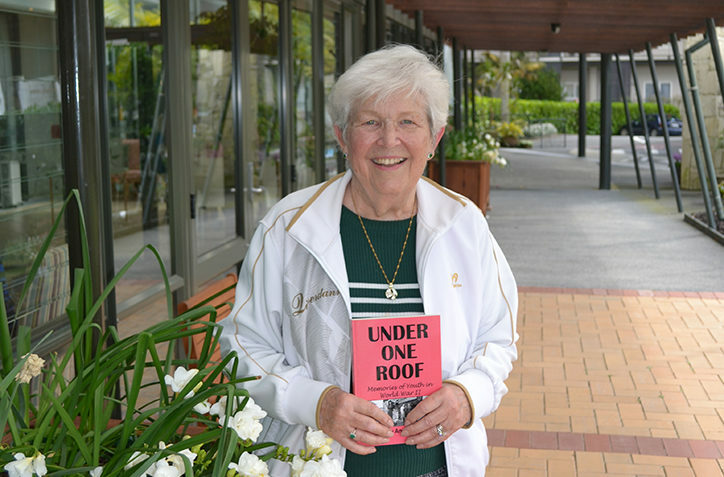 Mary-Anne White, resident of Waitakere Gardens, talks to More in Store magazine about her new book, written to preserve the histories of her fellow resident’s experiences during WWII. Mary-Anne has always been interested in history but it was in the 1990s that she began her first oral history project to capture the story of her husband’s parents and their life together. Preserving family history for future generations quickly became a passion, but a conversation with a fellow Waitakere Gardens resident about his experiences as a boy during the war gave Mary-Anne the idea for gathering different histories together into her new book. With so many residents ‘under one roof’ at her retirement village – many of whom had emigrated to NZ with amazing and inspiring accounts of their experiences – she started what would become a two-year labour of love to preserve their stories. Mary-Anne chose to record stories about the Second World War based on the age of the residents. Being at retirement age when she interviewed them meant that their experiences during wartime would be viewed through the eyes of a child or teenager, which she felt somehow made their memories all the more poignant. Mary-Anne set about interviewing and painstakingly transcribing the recollections of village residents from just before the war to their memories of the war ending. There were some fascinating accounts including one from Ben Brunier, born in Indonesia and taken from his school by government soldiers aged 18 to join the war effort. 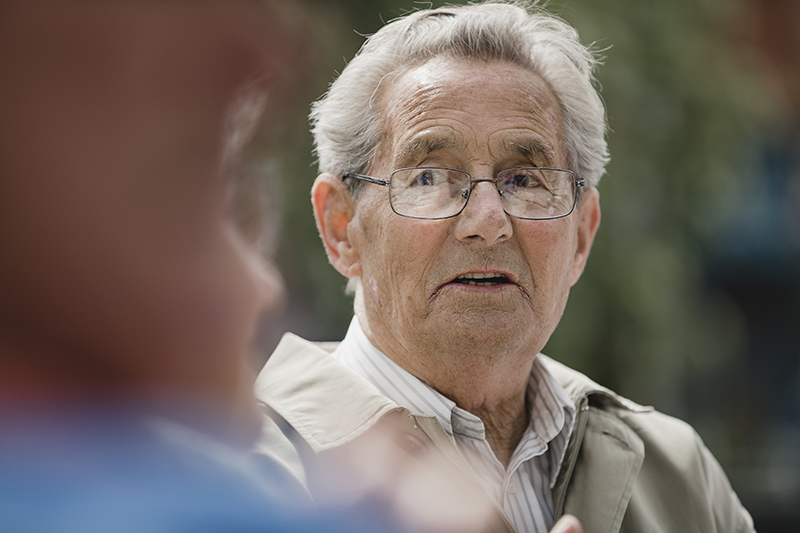 He was later sent to work on the infamous death railway in Burma and somehow survived the back-breaking work and terrible conditions before learning that the war was over and heading to the Netherlands. The collection also includes Londoner Eunice deFries account of her dismay at being billeted out to the country during the war with her younger siblings, as well as surviving regular bombing attacks when she returned to London. Eunice speak about the interesting people she met and bonded with during nights a basement shelter. Mary-Anne managed to pull together these and eleven other transcripts, together with some precious photographs and with her son’s help, self-published her book ‘Under one roof’. Sadly, in the time taken to pull together the stories, six of the residents interviewed in her book passed away. She hopes that by capturing their stories, the families always will have a record of their experiences. As Mary-Anne says, writing her book has made her realise that she is indeed ‘capturing history’ and ‘there is no time to waste.’ Mary-Anne has already been offering advice through talks in libraries and retirement villages. She encourages others to just make a start, either to tell their own story or to record the stories of others. Why not make a start today? Your local library may be able to give you advice – Mary-Anne met with the research librarian from West Auckland Central Library before getting started. – What is your earliest memory? – What were some of your family’s traditions? – What was the happiest day of your life? You might want to divide your history up into topics or snippets and do a few interviews instead of one big one. This could make it easier to get the information you need or focus on a particular story. You’ll need some sort of recording equipment to capture the interview or record your own memories. Some people are shy of having a microphone pointing at them, but there are some great video and audio recording devices available that could be placed on a table nearby. Perhaps a family member can help with the recording process. You’ll need to have the permission of the person(s) you are recording before you start. Ensure you give them lots of information about how you plan to use the information and where you intend to use it before you start.